Traditionally, rosemary has been used for improving memory, and, as such, gained notoriety as a symbol of remembrance and friendship. Rosemary is one of the most potent essential oils on the planet. Paracelsus, a renowned German-Swiss physician, valued rosemary oil because of its ability to strengthen the entire body. Rosemary, A perennial plant from the Lamiaceae family. It is a common site on the Italian countryside, growing in the wild throughout Italy and the rest of the Mediterranean regions. 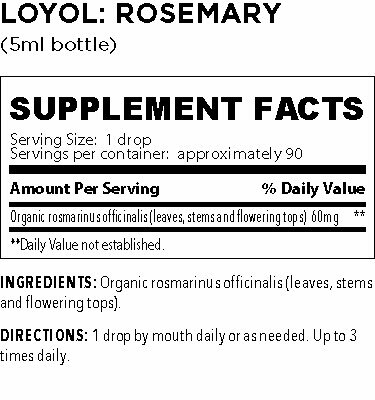 The botanical name, Rosmarinus officinalis, is derived from the old Latin term meaning “dew of the sea." Rosemary is great with all kinds of grilled and roasted meats and fish – and especially poultry. When grilling, it’s a great idea to first marinate the meat in rosemary. 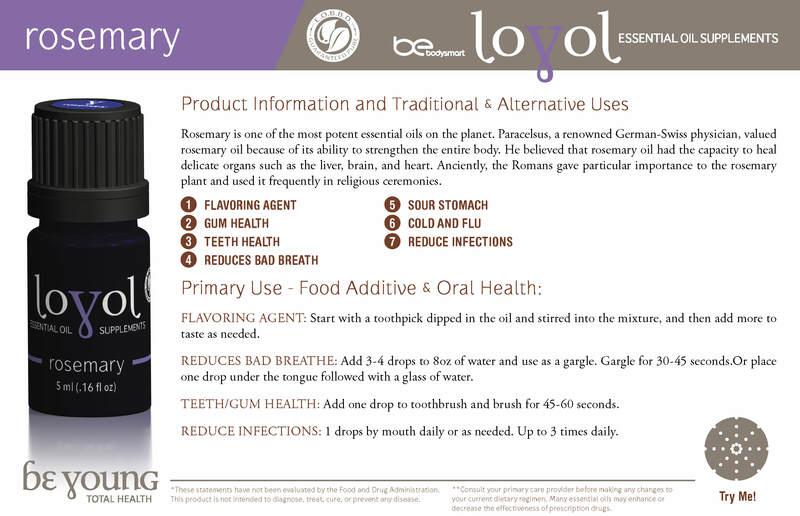 When using essential oil in place of the herb replace 1 drop to 1 tsp of rosemary.